Be the first to share your favorite memory, photo or story of Lillie . This memorial page is dedicated for family, friends and future generations to celebrate the life of their loved one. Be ye faithful until death, and I will give you the crown of life. God gave the gift of life to Lillie Queen Rivers Tarver “Kitty” on Friday, March 23, 1945 in Gibson, GA. She was born to Willie W. and Mattie L. Rivers. Lillie was educated in the Warren County School System of Georgia. Later in her adult life, she married ML Tarver. From this union, five (5) sons were born. Lillie had a love of music and a passion for dancing. She was always the life-of-the-party, and enjoyed spending quality time with her family. Lillie Queen was an advocate for hard work. After years of dedicated service, she retired from the former Thomson Manor Nursing Home, Thomson GA where she serviced her patients with much love and care. Our precious Lillie Queen Rivers Tarver “Kitty” transitioned from her earthly home on Thursday, January 17, 2019 surrounded by loved-ones. She is preceded in death by her husband, ML Tarver; two (2) sons; her mother, Mattie Mae Latimore Rivers; her father, Willie White Rivers; three (3) sisters and two (2) brothers. Cherished memories of her life will forever live in the hearts of family and friends: three (3) beloved children, Melvin Tarver, Ricky (Cassandra) Tarver, all of Warrenton, GA and Jeffrey, Sr. (Lacretia) Tarver of Stone Mountain, GA; ten (10) grandchildren; ten (10) great-grandchildren whom all affectionately referred to her as “Grand Ma Kitty”; five (5) sisters; Gladys Robinson, Betty Rivers, Mildred Medlock, all of Warrenton, GA, Helen Simpson of Rochester, NY and Melinda (Kenneth) Harris, Thomson, GA; two (2) brothers, George Rivers and Rev. Alvin (Kebearl) Rivers, all of Warrenton, GA; a host of nieces, nephews, cousins, other relatives and many sorrowing friends. To send flowers or a remembrance gift to the family of Lillie Queen "Kitty" Rivers Tarver, please visit our Tribute Store. 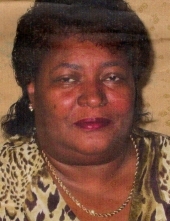 "Email Address" would like to share the life celebration of Lillie Queen "Kitty" Rivers Tarver. Click on the "link" to go to share a favorite memory or leave a condolence message for the family.